If someone tells you that your old cell phone could get to stop in the neck of any olympic athlete, it is not what you imagine it to be. What this refers to is that the athletes are winners in the Olympic Games in Tokyo 2020 will be awarded with medals made of metals recovered from smart phones discarded. The Organizing Committee of the Summer Olympic Games revealed that it is achieving its aim of being able to forge all of the medals to the athletes and winners from electronic devices recycled, such as smart phones, digital cameras, gaming consoles and computers. So far, managed to collect 47,488 tons of electronic scrap, in addition to 5 million phones used, discarded and obsolete, reaching 93 percent of its goal. The project to collect electronic waste for this purpose was launched in Japan in April of 2017, a campaign that encouraged people to recycle their devices so that they could make medals using the metals that are inside. Many technology devices contain small amounts of precious metals or rare, such as gold, silver, platinum, and nickel. In association with the giant japanese cell NTT Docomo and the Center of Environmental Sanitation of Japan, the aim was to collect at least eight tons of metal of the mobile phones discarded, reported Japan Times, with “millions” of mobile devices necessary to collect enough material for 5,000 medals that will be presented in the sports competition. 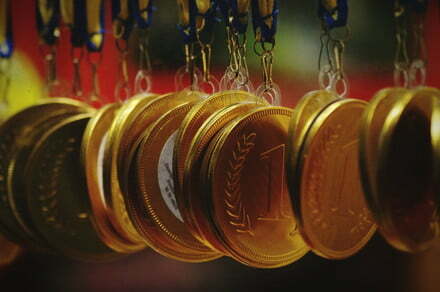 While several Olympic Games recent used electronic waste recycled for medals, Tokyo 2020 says it will be the first in which all the gold medals are made completely with metal recovered. To make it easier for people to surrender their old devices, the organizers installed collection points in the national network of NTT Docmo of more than 2,400 stores, in addition to other places. The idea was discussed for the first time the summer of 2016 and presented as a way to recycle and reuse at least a percentage of the electronic waste created by that country lover of technology.